Okay, I seriously just can’t get enough. I think I’m addicted to all things Japanese right now; I just finished watching Memoirs of a Geisha. Seriously! It’s such a gorgeous culture. Last night, my dinner was just too good. So, naturally I went for a two-peat. Alrighty, so this miso soup recipe comes from my favorite food website, epicurious.com. Usually, I enjoy experimenting with my cooking, but since miso soup is a sort of hit-and-miss type of dish, I decided to stick to this recipe. It was the closest recipe to the traditional soup that I have come to love (or so I think). I haven’t had the luck to travel to Japan yet, but I hope to visit some time in the next few years, so I can find out traditional recipes and the like. Now, the soup consists of seaweed broth or Dashi. The trick to this recipe is that the broth needs to have clarity. 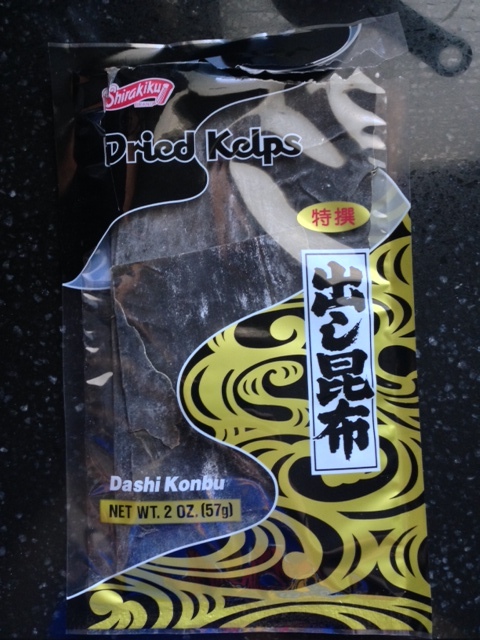 It is made up of dried bonito flakes or katsuo bushi and dried kelp or kombu. I must admit that because of my lack of linguistic skills in the Northern Asiatic part of the world, I had a hard time finding these ingredients at the local Asian supermarket. 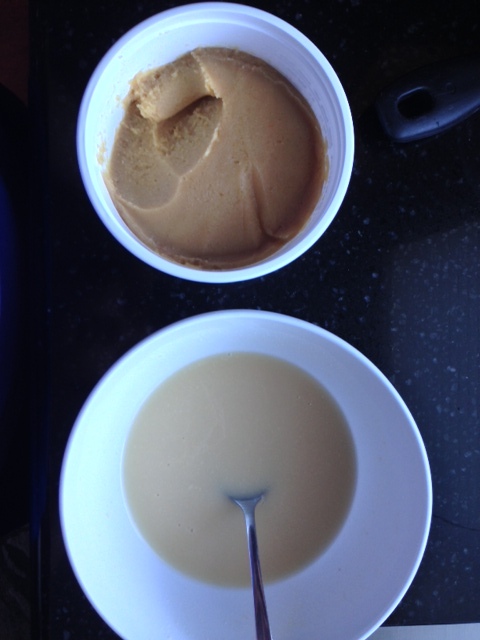 However, (since you guys are awesome), I am including pictures of the ingredients for both the Dashi and the miso soup itself. I hope you find it very helpful! *There is a very small inscription on the back of the package, amidst the gibberish to one who is not fluent, that says “dried bonito”. 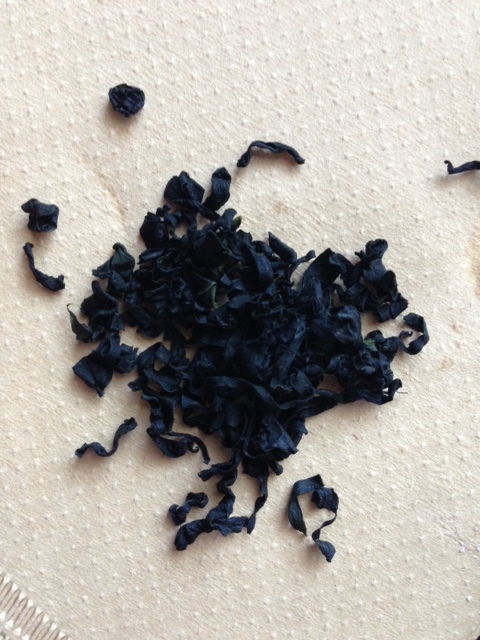 Dried Wakame (for the soup recipe). 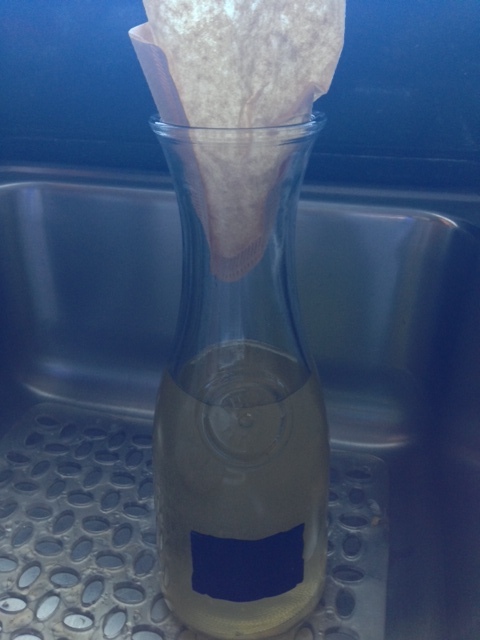 A makeshift filter for the Dashi. I used multiple coffee filters, discarding often due to the bonito flakes. 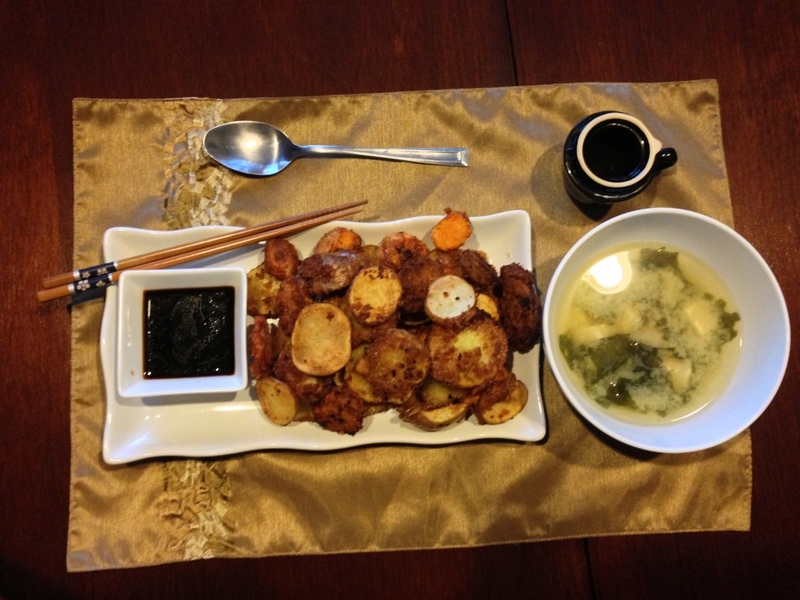 The meal was paired with a simple vegetable tempura medley made with regular potatoes, sweet potatoes, and baby red potatoes. 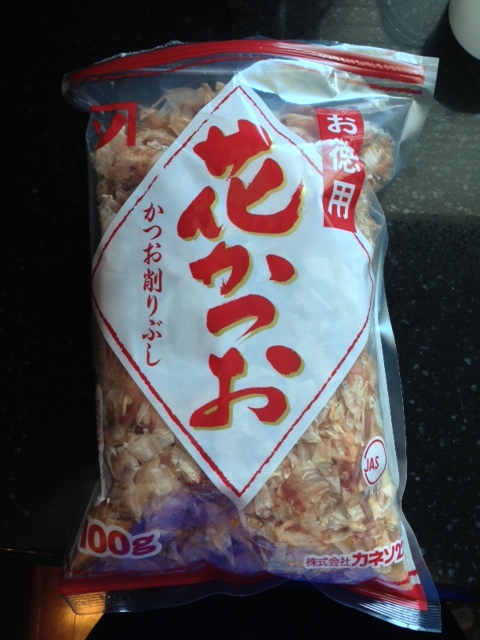 Mix with egg, water, salt, pepper, and Panko bread flakes (found in the Asian food aisle at your local grocery store). Honestly, this is a very simple recipe that could even be substituted for your traditional french fries. For the sake of the occasion, the dip is a tempura dipping sauce (found in the Asian food aisle).Unfortunately, I haven’t found one that doesn’t have sodium benzoate in it. 😦 Let me know if you find one. I hope you enjoyed this recipe. Thank you for liking and commenting in advance :)!